GTA4 in the wild wild west. That is essentially the entire game summed up in a nutshell. If you didn’t like GTA4, I seriously doubt you would like RDR, but who knows. It’s an open world 3rd person action game with a main quest line and optional side quests. RDR handles just like GTA4, so depending on what you thought of that, you may or may not like it. For me, the controls were straightforward and the gameplay was smooth. I’m not the best at handling myself in Rockstar’s games (ie. bumping into sides of door entrances, etc), but I think that’s a fault of my own and not the game’s. The aiming system made much of the combat effortless, but you still had to duck and find cover if you didn’t want to get pumped full of holes. One thing that annoyed me was the lassoing. It could be my fault too, but it just seemed like it wasn’t as smooth as it should have been. Perhaps I was hitting “Y” too many times though because I’d catch up to someone, lasso them and dismount, but then the lasso would not stay and if I wasn’t fast enough at lassoing them while dismounted, I’d have to go back on my horse and try to do it again until I got them on the ground and hogtied them. Again, it’s most likely my fault, but it sure was annoying since you’re enticed into bringing in bounties alive to get more money. I thought RDR looked and sounded fantastic. There were times when it almost seemed like a movie to me. The cutscenes weren’t as crisp as they could have been, but the in-game graphics were great. I loved the little audio snippets John would throw out while in combat as well. Trash talking in the wild wild west? Yes please! Also, I know I’m not the only one who would occasionally ride between locations (instead of fast traveling) just so I could watch myself ride into the sunset. I’ll admit that it took me a few hours to get into RDR initially, but after that I was hooked. I don’t want to spoil anything, but the game’s ending was just extremely poetic to me and opens up the possibility of a sequel (which I hope Rockstar is working on right now). 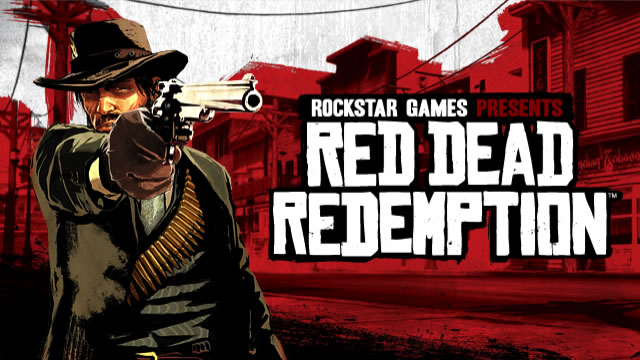 If you’re not a fan of the GTA series or of open world sandbox games, RDR probably isn’t for you. However, if you are a fan of those things, pick this up. I’ve heard the multiplayer is also really fun, but have yet to play that. I think I had one resolution in 2010 and that was to quit smoking. Well, I got that done! Let’s see how many I get done for 2011.